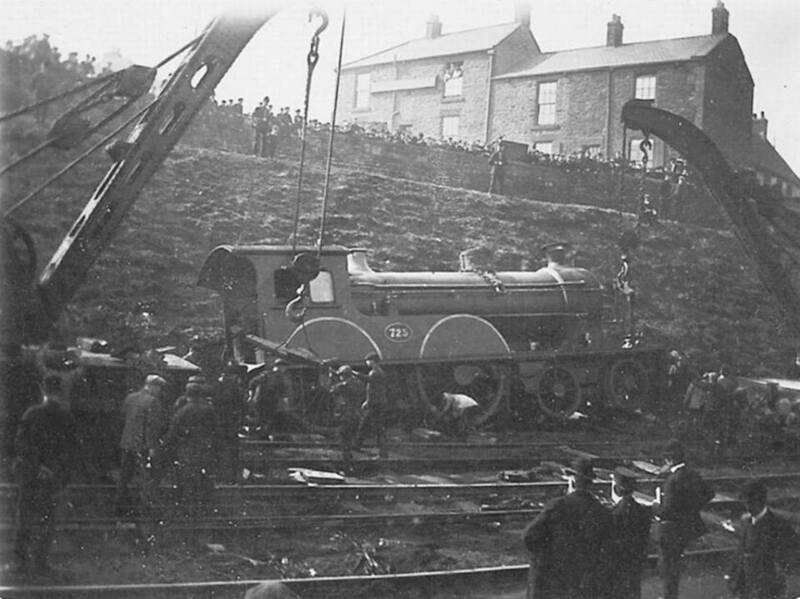 This accident took place on March 26th 1907 and was reported extensively in the “Daily Chronicle” on 27th March, with the headline “Leeds Express Smashed”. 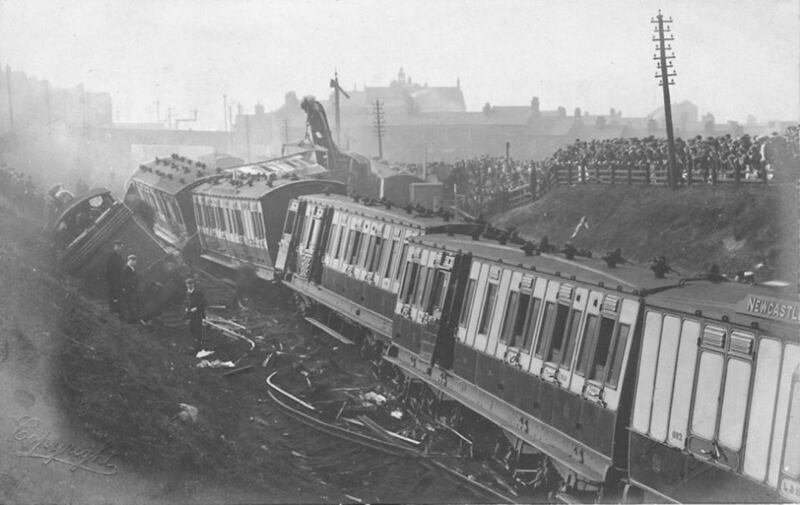 According to the newspaper, the train was due to arrive at Newcastle at 1.51p.m. but the accident happened at 1.40p.m., at the rear of the Blink Bonny Hotel. The engine and train had apparently gone in different directions, resulting in derailment. 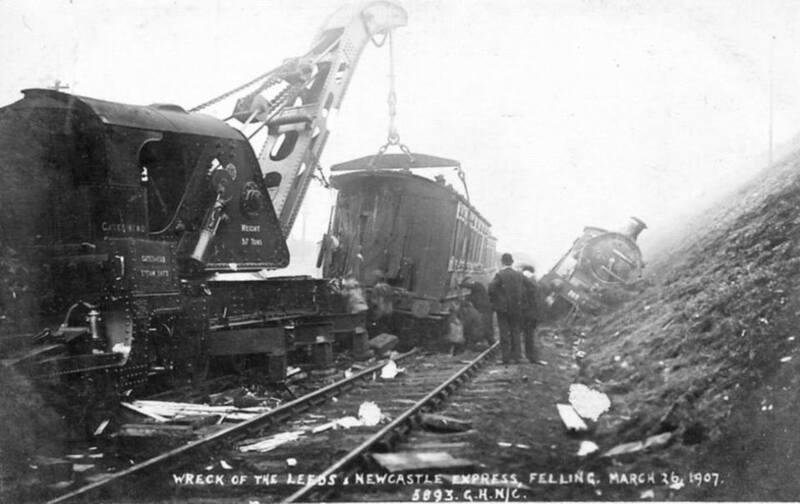 “Medical men, police constables and The Felling Colliery Ambulance Brigade” were soon on the scene attending to the injured. There were no fatalities at this point. 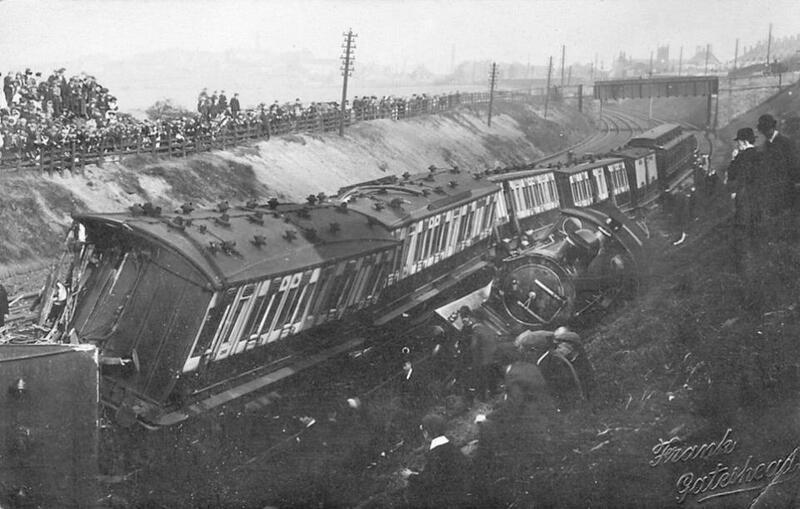 The damage was considerable, with the guards’ van completely shattered and the first carriage, where most of the injured passengers were seated, almost ‘stove in’. Windows were wrecked and doors torn from their fixtures and thrown into the adjoining fields. One rail, from the track, pierced the floor of the compartment, exiting through the roof. An inquest into subsequent deaths, held on 12th April 1907, recorded that Mr. Watson died on 28th March and Mr. Robson on Easter Monday. The verdict of the jury was that the accident was caused by a kink in the lines due to a sudden change in temperature from cold to heat. The morning had been frosty, but later the temperature had risen to 65ºF (much higher than it been at that time of year during the last ten or twelve years). The temperature on the line was estimated to be 86ºF. This caused the rails to expand and kink. The signalman, Charles Anderson, was exonerated from all blame in the matter. The rear of the Blink Bonny Hotel.